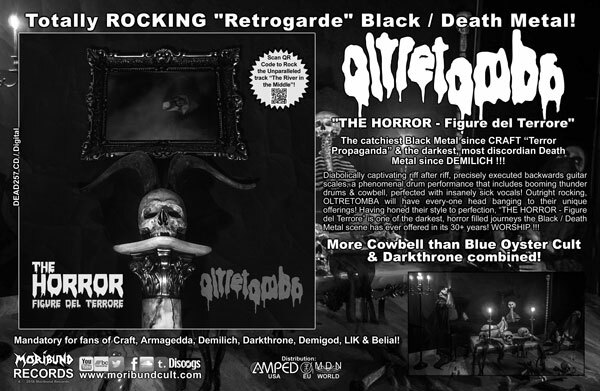 debut with their second full-length album: "THE HORROR - Figure del Terrore". Old school in sound & style, raw and aggressive, even outright rocking. "THE HORROR: Figure del terrore" contains 9 tracks plus a disturbing intro and outro. Still retrogarde, still aggressive and primitive. Face the horror!